Watching the Canadian housing market is like watching a soap opera. There’s lots of he said she said, tons of meddling, a little bit of cheating, and rarely any comic relief. Fortunately, we have our PVR set and are on top of all the stories in mortgages, real estate, and the rest of personal finance. 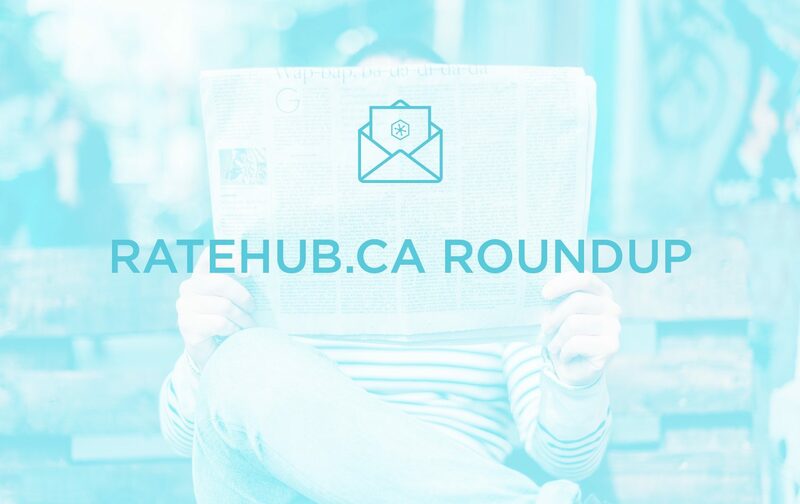 Read on for our update of stories you might have missed in September. The debate continued this month over foreign homebuyers and the impact they have on real estate in Canada. The Vancouver housing market has slowed considerably since a 15% tax was added for homes bought by foreign nationals. Now a 29-year-old university student has launched a class-action lawsuit against the provincial government, claiming the tax is not only outside of the province’s jurisdiction, but also discriminatory and disallowed under Canada’s many international trade agreements. Meanwhile, the City of Vancouver is continuing its efforts to bring housing costs back under control by working on a new tax on empty homes. That tax is expected to help with rental supply, and could have the side effect of hurting the supply of short-term rentals such as those listed on Airbnb. In Canada’s second-hottest market (Toronto), a senior economist for CIBC says similar action will be needed for the Greater Toronto Area. But smart politicians aren’t going to invite themselves to this knife fight—they’re much more likely to just wait for the winner to be decided and go with that. Finance Minister Bill Morneau has announced his office will be reviewing the interchange fees credit card companies charge merchants for their services. Visa and MasterCard had agreed to voluntarily lower their fees almost two years ago to avoid new regulations dictating what they could charge. But neither company has published proof that anything has changed. You don’t pay these fees yourself when you use your credit card (the companies that accept payments bear these costs), but the estimated $5 billion generated by the fees are a big part of what allows credit card providers to offer travel and cash back rewards. This is the second public backlash against interchange fees in recent months, following Walmart’s decision to stop accepting Visa cards at some stores. Could GIC rates be going up soon? Guaranteed investment certificates—the safest of the safe investments—aren’t as lucrative as their riskier counterparts, but higher rates could be on the way. 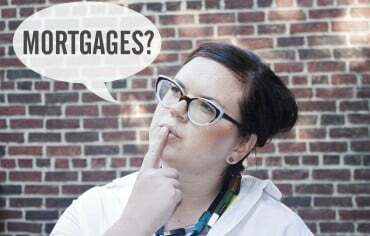 According to a recent report, banks appear to be stepping up competition for consumer deposits as a way of raising money to use for mortgage lending (the new OSFI regulations could have something to do with that). That means higher GIC rates could be just around the corner. Don’t hold out hope for anything close to the returns you can get from other investments, but a rise of a few tenths of a percentage point isn’t out of the question. The best GIC rates in Canada currently top out at 2.5% for a five-year commitment, and you’ll probably find the bank you use most isn’t offering the most competitive rates. One of Canada’s largest insurance companies is making life insurance more fun, thanks to a new program that uses wearable technology to incent customers to make healthy choices. The program, which has been around south of the border for a while now, asks customers to earn points by tracking their health-related activities. Points can then be used for rewards (discounted gym memberships are the first such offer) and to reduce their insurance costs. Also, while not required, customers will have the option of using a wearable device that keeps track of habits and sends the data back to Manulife. I don’t know whether I’d be willing to wear a fitness tracker and hand over all of my biometric information just to save money on life insurance, but kudos to Manulife for trying to have some fun with this most morbid personal finance product. This month, OSFI (the federal regulator that oversees Canada’s banks) issued a very boring and complexly worded announcement that changes are coming to the equally complex and boring rules banks have to follow. Embedded in the dense thicket of industry jargon is a warning that mortgages are becoming too risky for lenders, and a requirement that banks will need to keep more cash on hand to cover potential shortfalls. It also says banks that fail to meet the requirements could lose their mortgage insurance coverage. (Mortgage insurers will face tighter rules of their own). In short, banks will have to shoulder more of the risk for mortgages when the new regulations come into effect later this year. This likely means slightly higher mortgage rates and tougher qualifying criteria, but the changes shouldn’t be too drastic. This is just the latest step in a trend toward tighter mortgage regulations that have been ongoing for eight years now, and it’s likely not the last. At least ask the right people first before you start your construction project. You might recall this spring we read about a pirate ship-shaped treehouse in a Toronto backyard that was ordered removed by the city because the structure violated zoning laws. This month we heard about a family from Calgary who lost their home insurance for building a backyard climbing wall. Steven Poffenroth built the wall for his nine-year-old daughter and was angered to learn his home insurance not only wouldn’t cover the structure, but would be cancelled entirely. Poffenroth says he received home insurance quotes from other providers but the cost would be in the neighbourhood of $1,500 for the year—more than most Canadians pay for car insurance. The lesson to be learned here is to make sure you have the right permits and insurance coverage before you start a building project. And if you don’t, you risk reading about yourself here. Ratehub.ca is giving you a chance to win a $100 gift card to the major Canadian retailer of your choice! All you have to do is take a 10-minute survey and let us know how you use technology to manage your money. The results of the survey will help inform our annual Digital Money Trends report, which will be released later this year. Right now you can get a free $50 gift card for Amazon, Starbucks or Homesense/Winners when you’re approved for the Tangerine Money-Back Credit Card. Get the details here. More gift cards? OK! How about a chance to win a $50 Esso gift card or win a $50 Cineplex gift card just for signing up for our newsletter? That’s all for gift cards, but what about the gift of knowledge? We busted 5 big credit card myths with help from some of our favourite personal finance bloggers and influencers. Read what they have to say and maybe you’ll learn a thing or two.